Dulwich College Shanghai Puxi is located in South Minhang, Puxi and is a state-of-the-art campus, set on 40,000 square meters of green space. It joins Dulwich College Shanghai Pudong, now in its thirteenth year. Dulwich is a leading international school in Shanghai. We are a co-educational day school, currently catering for students aged 2 to 16 in classes from Toddler to Year 10. In subsequent years the school will add year levels to build to a full Senior School with classes up to Year 13 (age 18). Our college is academically selective and follows an enhanced British curriculum adapted for the needs of our international student body. Our academic curriculum is complemented by a rich co-curricular programme. Continuing the tradition of excellence started by the founding school, Dulwich College International graduates go on to study at leading universities in the UK, USA and around the world. We accept applications throughout the year. To apply please review the criteria below and complete the online application form here. Students wishing to enrol in the College must hold a foreign passport or foreign birth certificate. Alternatively, if one or both parent(s) hold foreign passport(s), the child is eligible to apply. Where both parents are PRC Nationals, they must provide a waiver letter from the Shanghai Municipal Education Commission giving permission to the student to attend Dulwich College Shanghai Puxi. Please enquire with our Admissions Team if you are unsure about your child’s eligibility to attend an international school. In addition to providing the application and supporting documents, all students wishing to enrol are subject to the admissions criteria set out below. 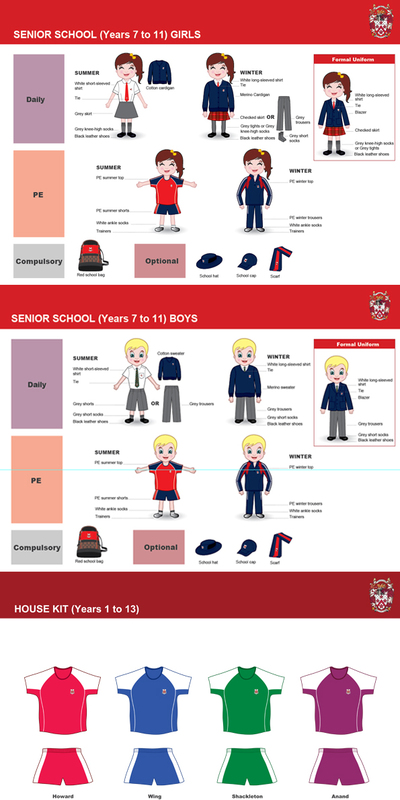 To determine which year to apply for, please refer to our age placement guide. As a general rule, students should have reached the age indicated in the table before 1st September of the year of application. Children applying for entry into the DUCKS must submit current and prior school records if the student has had previous education. A Confidential Teacher Comment Report from their class teacher or Principal is also required. Students entering Nursery and Reception must be toilet trained. Every child is assessed by the Head or Deputy Head of DUCKS before a place is offered. Students applying for entry into Year 3 to 5 must submit current and prior school records. A Confidential Teacher Comment Report from the class teacher or Principal is required. Students undertake assessments to ensure they can access the curriculum. The Cognitive Ability Test (CAT) consists of verbal, quantitative and non-verbal assessments. Candidates whose first language is English will complete a 30-minute writing assignment. Candidates whose first language is not English will take an “English as an Additional Language" assessment. Students applying for entry into Year 6 to 9 must submit current and prior school records. A Confidential Teacher Comment Report from their class teacher or Principal is also required. Students undertake assessments to ensure they can access the curriculum. The Cognitive Ability Test (CAT) consists of verbal, quantitative and non-verbal assessments. Candidates whose first language is English will complete a 60-minute writing assignment. Candidates whose first language is not English will take an “English as an Additional Language" assessment. Special arrangements can be made for the entrance assessments to be administered at the candidate's current school. 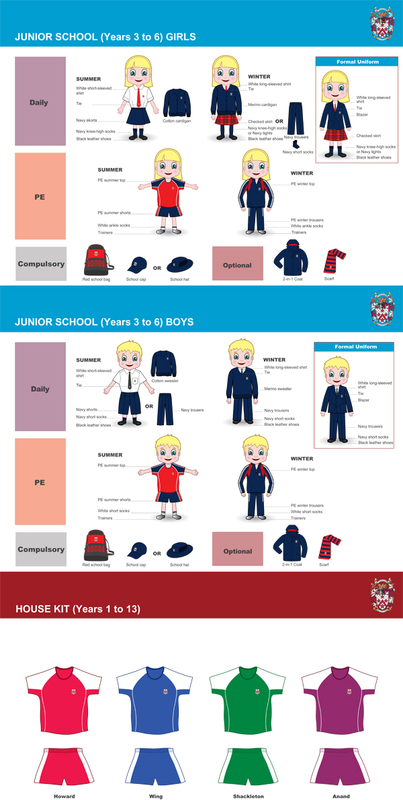 Dulwich College Shanghai Puxi will cover the costs of delivery to the current school, but not the return costs. The current school may choose to pass such costs on to the parent. If a candidate cannot be interviewed, a provisional place may be offered, which can be withdrawn if the College later determines it cannot support the child's needs or a concern arises that was not previously known. Below are our school fees. All fees are subject to adjustment and will rise in line with inflation. The fee rates shown here are indicative and may not be the rates applicable at the date when a place at the College is offered. An application fee of RMB 3,500 is non-refundable and valid for the year of application. Examination fees are included in our tuition fees. Fees for compulsory school trips are also covered in our tuition fees while optional school trip expenses are borne by the parents or guardians. The cost of school lunches, buses and additional educational support is not included in our tuition fees. Please read the College’s Terms and Conditions for the more information about our fees. Below are a number of questions that families often ask members of the Admissions Team. Who can attend Dulwich College Shanghai Puxi? This year Dulwich College Shanghai Puxi will accept students from 2 to 14 years old in the Toddler classes through to Year 9. Our students are placed in the appropriate year levels on the basis of the child’s age before September 1st of the year of application. Our College is academically selective and as an international school, is permitted to enrol students with an overseas passport or overseas birth certificate. We enrol students who are likely to thrive in the College’s academic programme. The primary language of the classroom is English and to ensure our students receive the support they need, we assess the level of English of non-native speakers. Please contact our Admissions Team to find out more about eligibility. Dulwich College Shanghai Puxi will limit the number of children requiring English as an Additional Language (EAL) support in each class. Our English as an Additional Language (EAL) programme is designed to enable students who have had little exposure to English to develop fluency and competence in the language so that they may benefit from the curriculum offered at the College. We limit our enrolment of students needing EAL support according to the level of support needed. The College may limit the enrolment of students in the same class coming from the same country, or whose mother tongue happens to be the same language. We do not limit the number of non-native English speakers in the Toddler classes, as at this age, all children are learning the building blocks of our shared language. What are Additional Educational Needs (AEN)? Students with Additional Educational needs are those who have been identified as requiring either support or enrichment at some level throughout all or some of their time at the College. This includes those students who will benefit from extra English language support (EAL) or who may be described as ‘gifted and talented’. Does the College offer Learning Support and facilities for students with special educational needs? Dulwich College Shanghai Puxi does not offer an additional curriculum to those with special learning needs. However, our teachers and EAL Specialists may be able to provide assistance to students who find particular aspects of the curriculum challenging. We enrol students with learning challenges when the information available indicates that our staff and services can meet the student’s learning needs. When should I apply for a place at the College? We welcome applications all year round and students may join the College any time throughout the academic year. upon opening. Waiting lists may have to put in place for some year groups, so parents are encouraged to apply early for a place at the College. Please click here to apply. Please describe the admissions tests and assessments. Dulwich College Shanghai Puxi is an academically selective school. Families applying for places for children under the age of 7 are asked to meet with one of our experienced Early Years teachers. This is so we can learn about your child and ensure that they will benefit from the education we offer. Families applying for places in Year 1 and Year 2 (children aged 5 to 7) will be encouraged to share their literacy and numeracy skills where appropriate. Families will be asked to provide reports from their child’s previous school or kindergarten as well as a confidential report from their previous class teacher. Wherever possible, we also like our students to enjoy a brief visit in the appropriate year group. Families applying for places in Years 3 to 7 (students aged 7 to 12) are asked to take the Cognitive Ability Test (CAT), which consists of verbal, quantitative and non-verbal assessments. We also require those students to do a written English Assessment. Our academic staff will review test results, previous school records and the confidential report. Students may also be asked to spend some time in a class. Students who may require additional educational support, including English as an Additional Language, will need to sit additional assessments to allow us to further evaluate their readiness for the curriculum and College environment. I do not plan to visit Shanghai before we move. Where can my child be tested? Academic assessments can be arranged at your child’s current school if you are living overseas. Where there are more qualified candidates than places available, we establish a waiting list and offer placements to students as and when they become available. We enrol students in accordance with the spaces available in the appropriate year level. When few places are available, we will give priority to the siblings of enrolled students. Other applicants are allocated places in accordance with our Language Support Policy. There is a maximum of 12 students in our Toddlers classes (children aged 2). Classes are led by a highly qualified teacher and a suitable number of Assistant Teachers to maintain a 4:1 student – teacher ratio. In Nursery and Reception classes (children aged 3 to 5), we allow a maximum of 16 students, and from Years 1 to 7 there is a maximum of 22 students per class. Each class is led by a fully qualified teacher and an appropriate number of Assistant Teachers. In each class in the DUCKS and Junior School, we apply a student-teacher ratio of 4:1 in Toddlers classes (for students aged 2) and a ratio of 8:1 is maintained in Nursery and Reception classes (for students aged 3-5). Does the College offer school lunches? Do you accommodate children with food allergies? All dishes offered by our catering provider are clearly labeled to make it easy for students to recognise the food on the menu. Further, Dulwich College Shanghai Puxi is a nut free school. Our catering provider does not use nuts in any of its dishes. We require parents and staff to refrain from taking food containing nuts into school. Can my child bring lunch to school? What time do the children eat lunch? The timing of lunch depends on the student’s age and timetable. 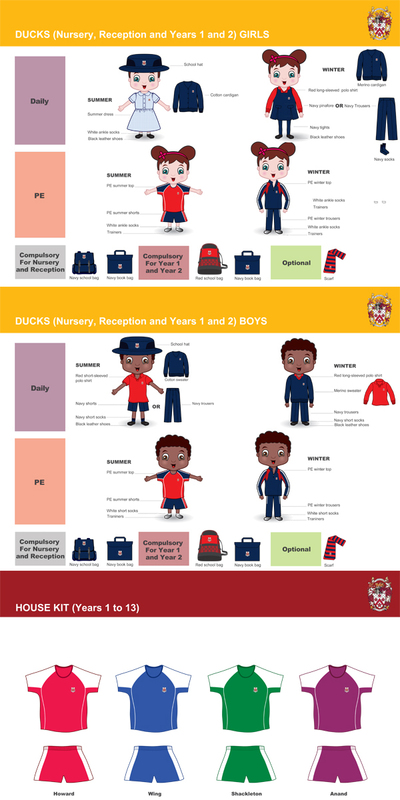 All students at Dulwich College Shanghai Puxi except Toddlers must wear the school uniform with black leather school shoes. The College runs a bus service for children in Nursery (age 3) and above. Buses depart at the end of the school day. Our teachers are predominantly from the UK, as well as other English-speaking countries such as Canada, Australia, New Zealand and the US. All teachers are fully qualified with a minimum of two years of teaching experience. Our expected average is around 8 to 10 years’ experience. What specialist teaching do you have? The College has specialist teachers for Art and Design, Computer Studies, English, Humanities, Mathematics, Mandarin and other modern foreign languages, Music, Sport and Science. Are there opportunities for new parents to become involved in the College? Yes, as a member of the parent organisation called Friends of Dulwich and/or as a volunteer in the classroom. Is Dulwich College Shanghai Puxi involved in any projects in the local community? Our students and staff will be involved in a variety of activities and programmes in the community and our facilities will be open to the local community when not being used for school activities.